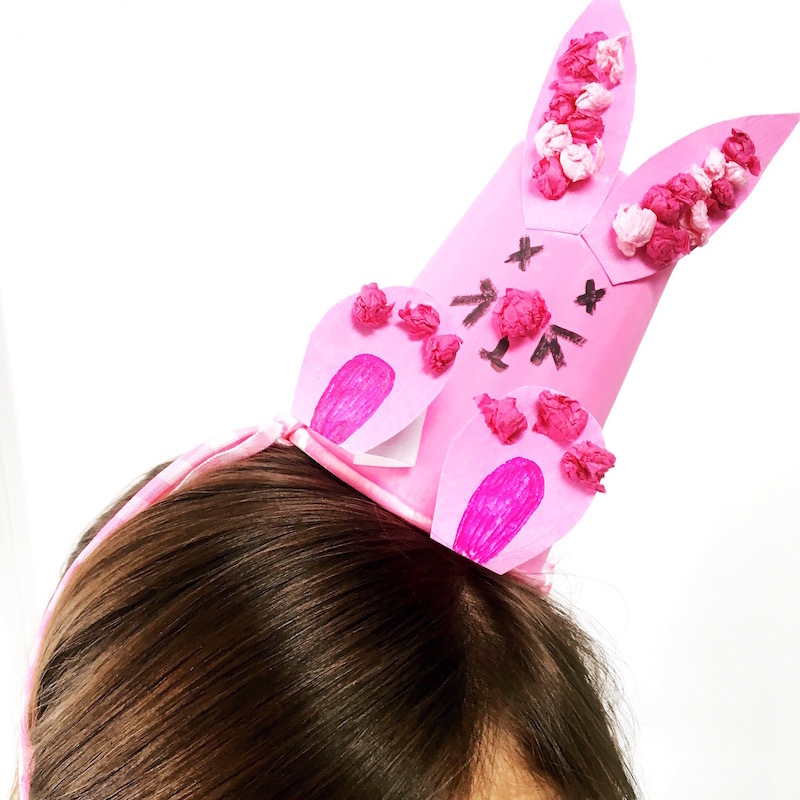 Looking for some simple Easter hat ideas? I have 4 for you that make use of the simple old paper cup. 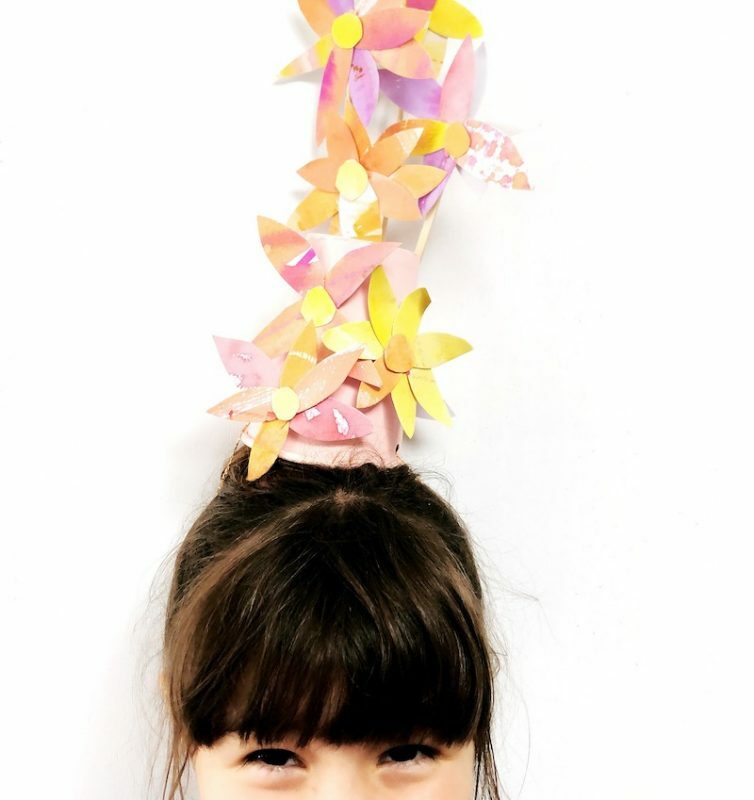 Miss 5 is currently designing and making her hat for her first ever Easter hat parade at school. I had to “gently” convince her that maybe she should rethink her idea about basing it around Christmas trees. 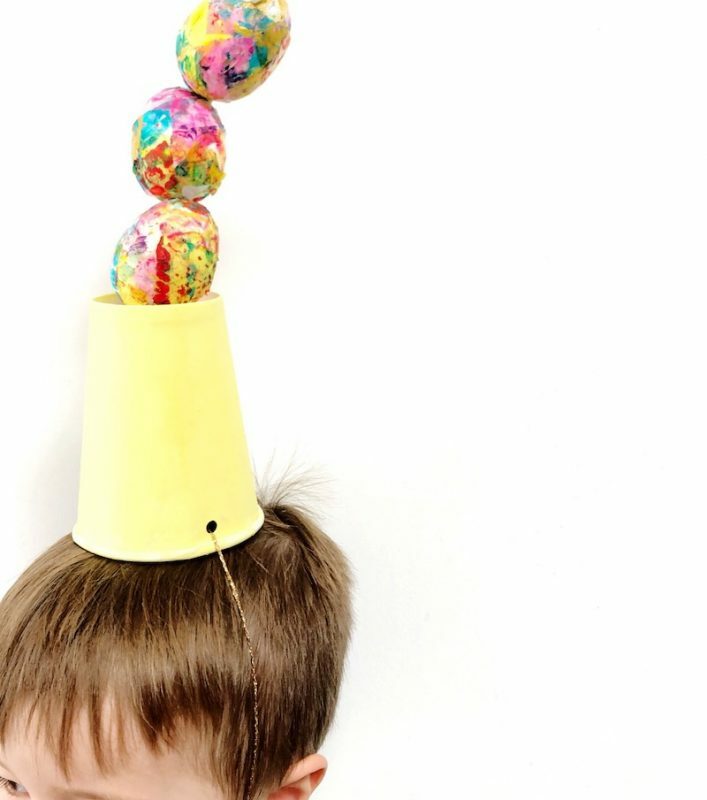 Do your kiddo’s school hold an Easter hat parade? 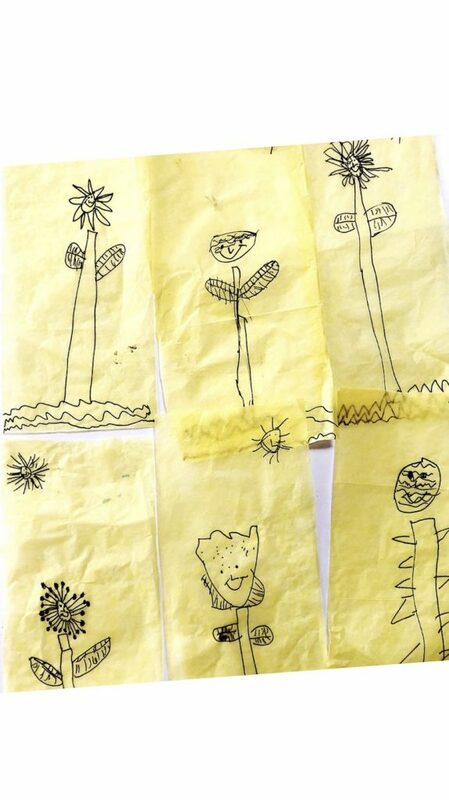 I’m always looking for ways to repurpose kiddy artwork. We made these flowers from painted paper for my sister’s Baby Shower. 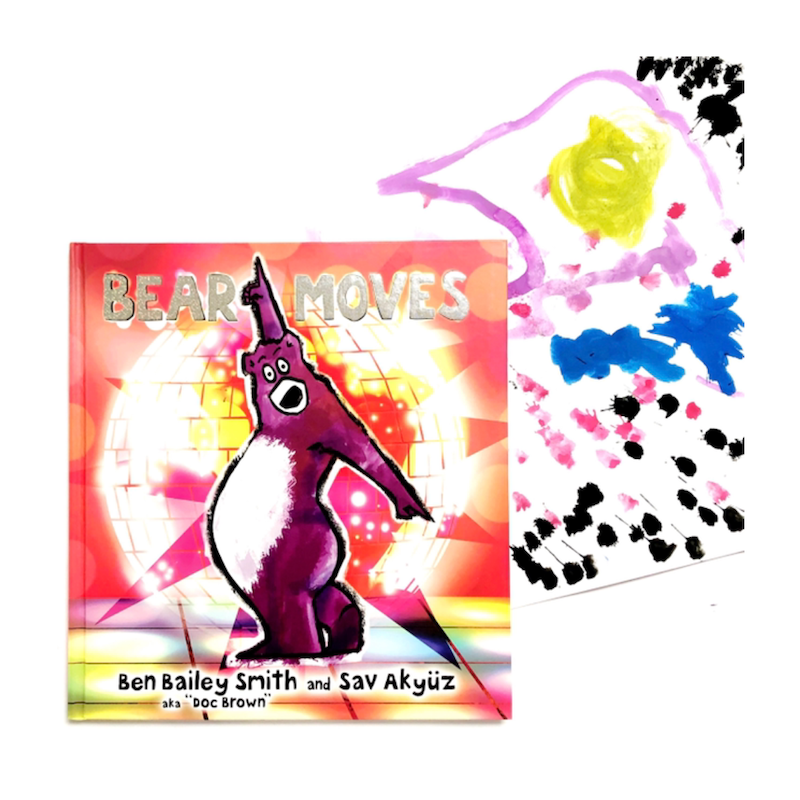 I first posted about them over on Red Ted’s blog. We still have bouquets of them all over the house. 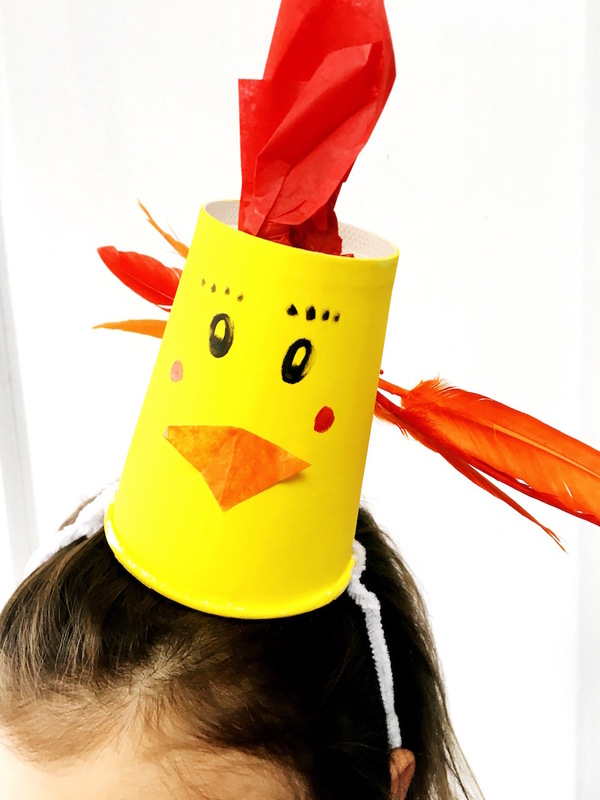 The first step for all these Easter hats involves painting the paper cup in a colour of your choice. Punch a hole on either side of the hat. String through some yarn and this is how you will hold your hat in place. Miss 5 also determined that we should pull her hair into a bun so that the hat can sit snugly over the bun. The kid is a genius. 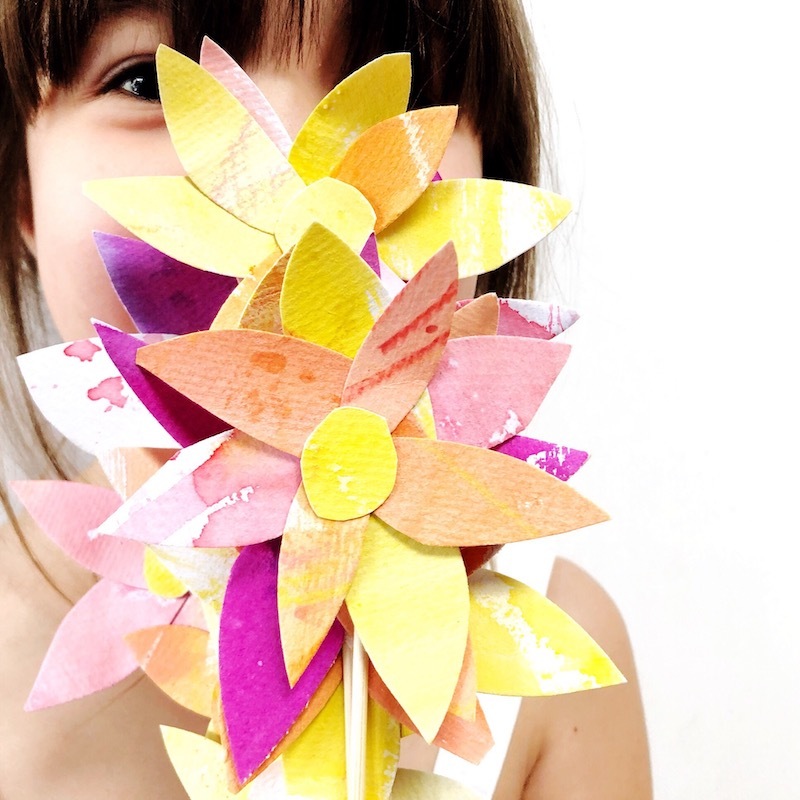 For the flower tower, we glued some of our paper flowers to craft sticks. Secure with tape if you feel it needs it. Cover these sticks and tape with more painted paper flowers. Glue painted flowers around the hat. Voila! Doneskis. We posted about our Eric Carle-inspired eggs here. We hot glued one to the base of the paper cup. Then use toothpicks to connect the eggs into a tower. It’s a Leaning Tower of Eggs! You’ll find the Easter Bunny hat above or the chick hat below here. This Mister Seahorse art project uses a simple process that blew us away with the results. 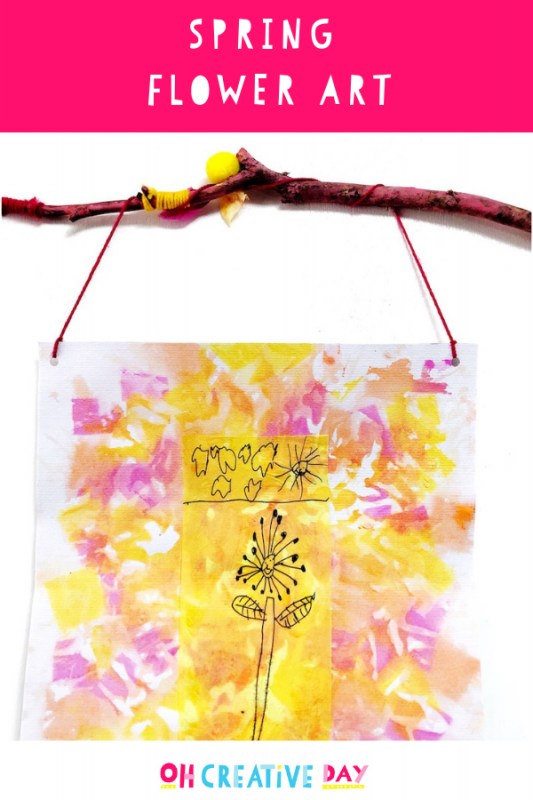 Paper – we used photo paper. Watercolour paper would also work nicely. You could use any paper but photo or watercolour papers really up the vibrance! 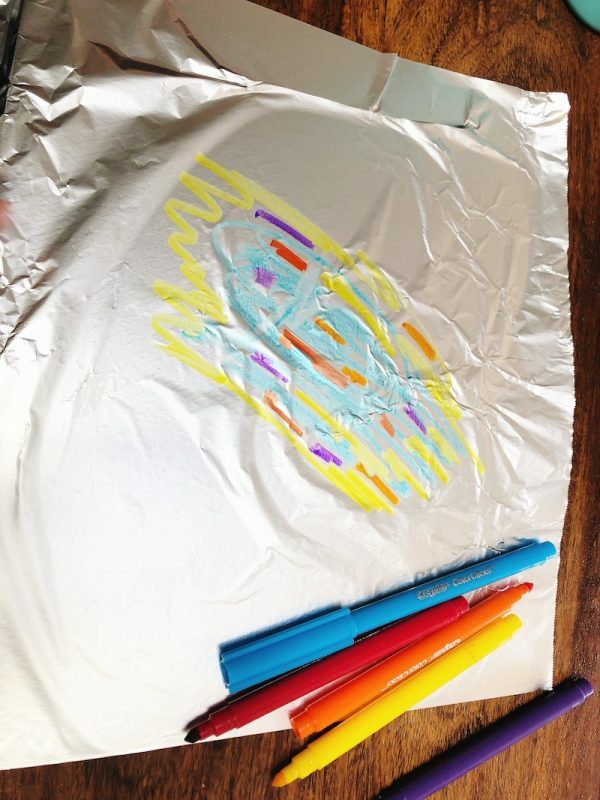 Use washable markers to draw on the non-shiny side of the aluminium foil in big blocks of colour. Spray a light mist of water across the colour. Press photo paper down onto colours. 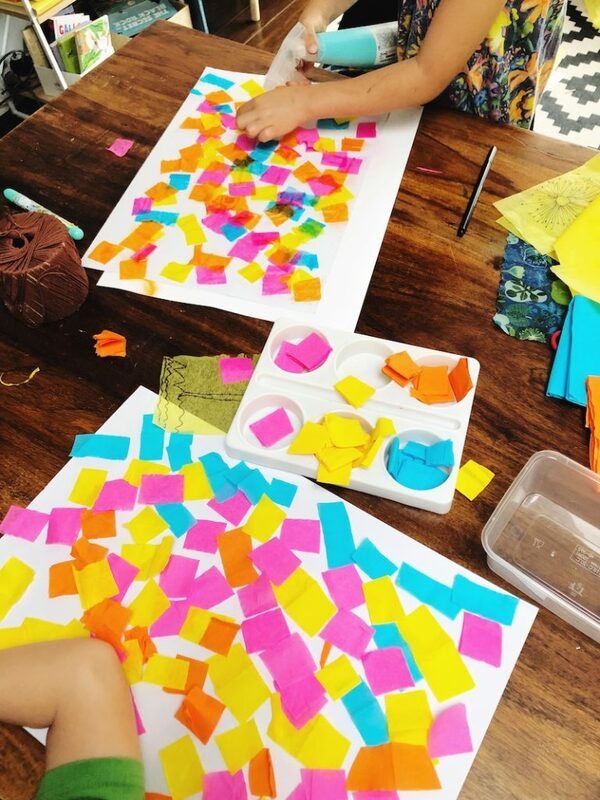 Peel away the paper to reveal your design. 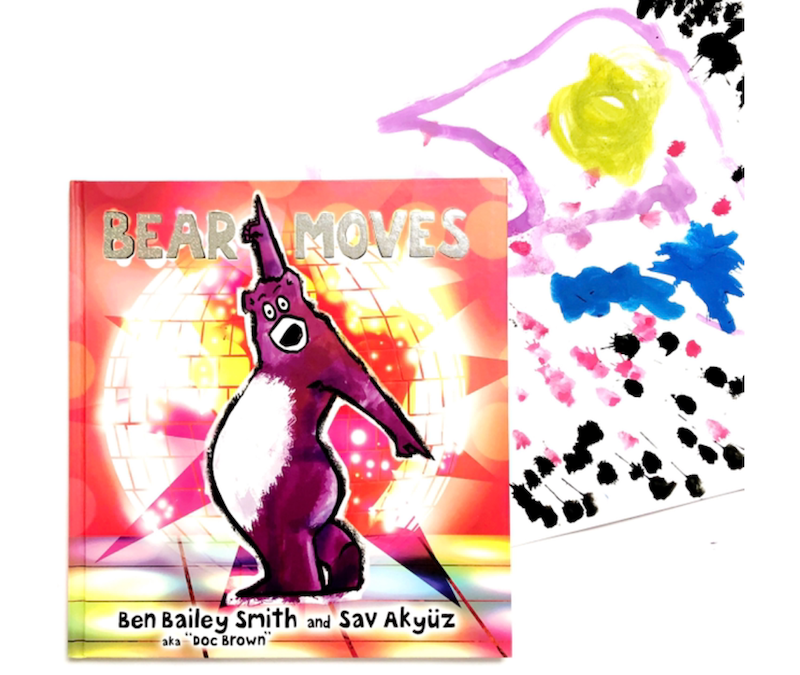 Photo and watercolour papers are excellent for absorbing colours. 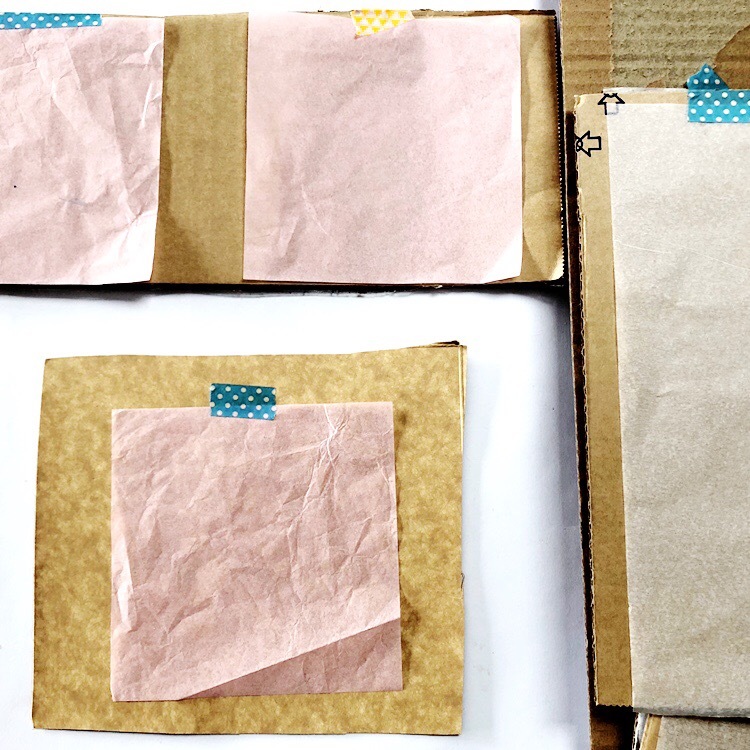 You can absolutely use any kind of paper but results will vary. 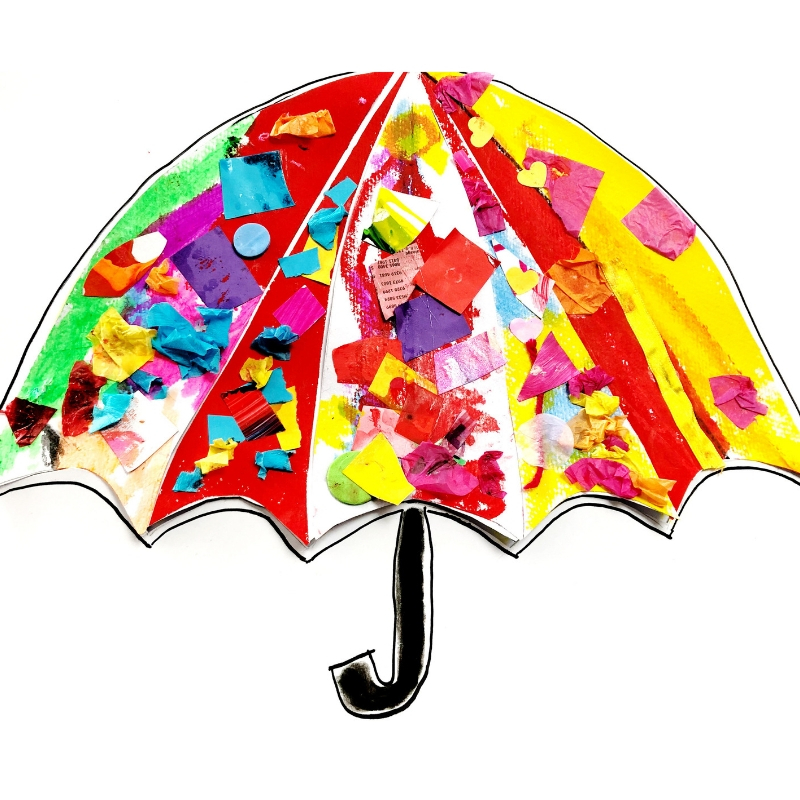 Play with how you place the colours on the foil. If your foil bunches up, this causes little rivers of colour that creates an interesting effect. Download the printable seahorse template. 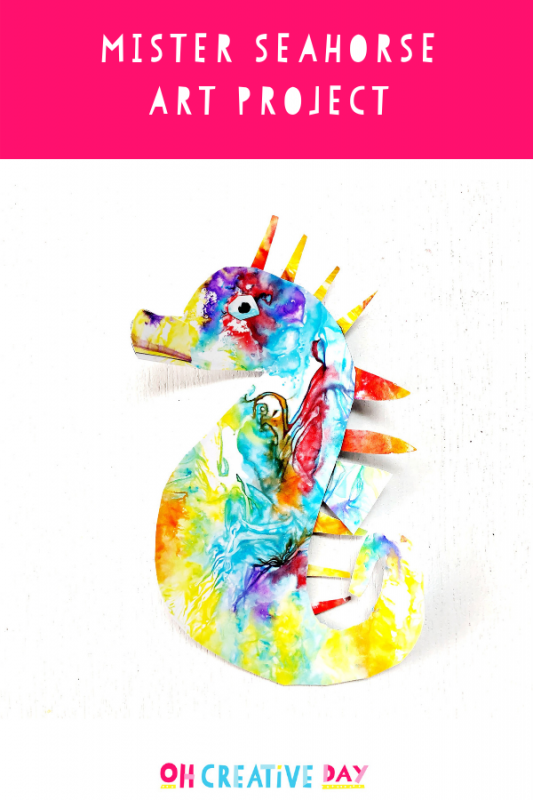 Cut out the template and trace the seahorse onto the back of your artwork. Cut out your seahorse. 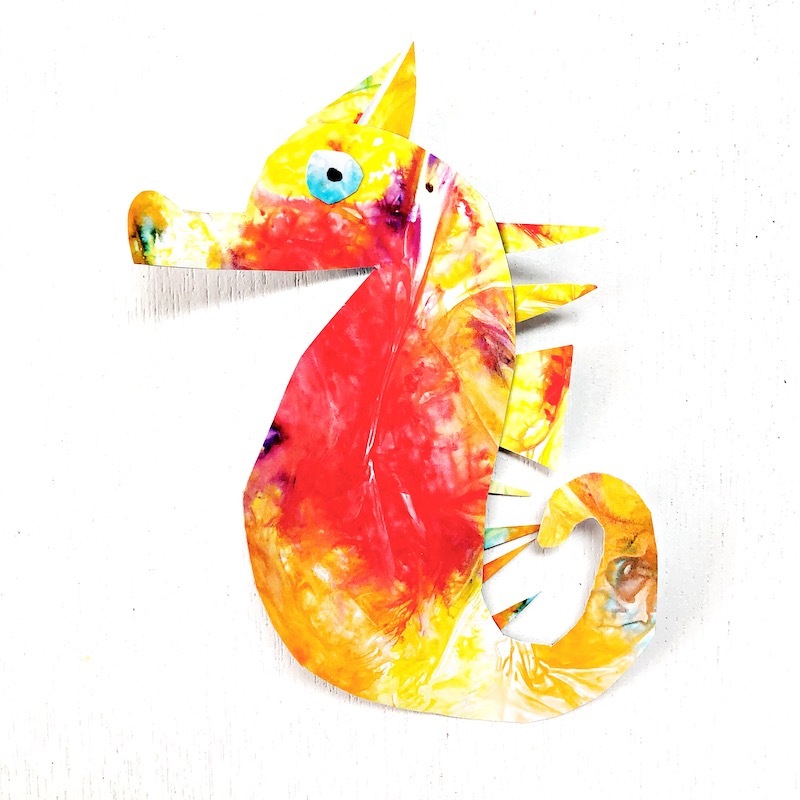 Use your artwork scraps to add fins and details to your seahorse. I love seeing when people try my projects! 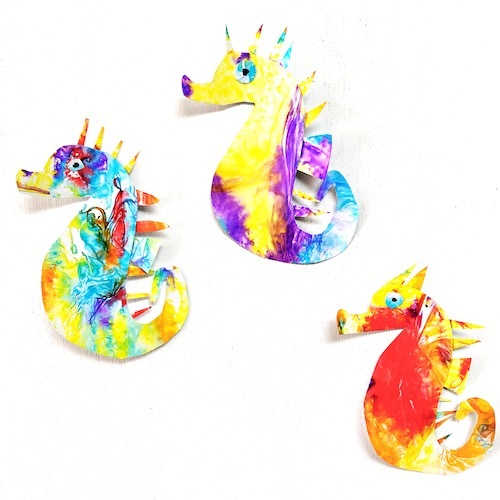 If you try this seahorse art project inspired by Eric Carle, tag me on social media! 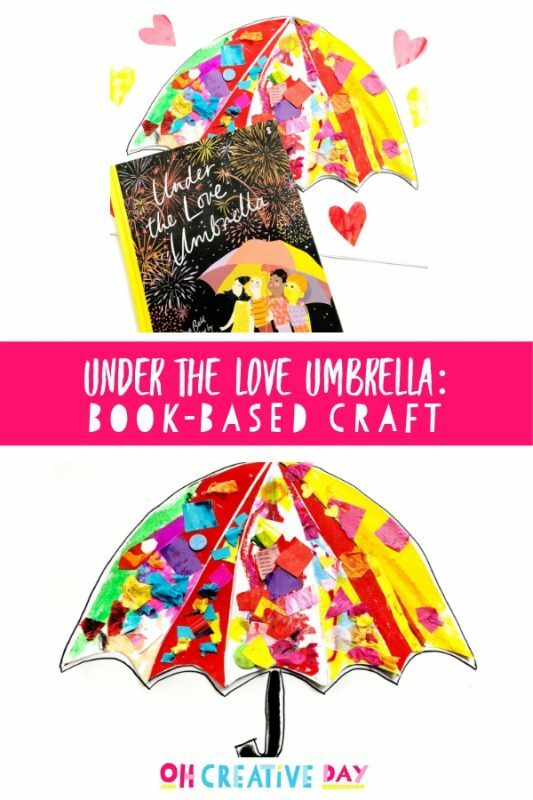 I’m running Eric Carle-inspired READ + CREATE classes these school holidays for preschoolers and Kindy kids. Click here to book so you don’t miss out! That’s a rhetorical question. Yes. Yes it is. 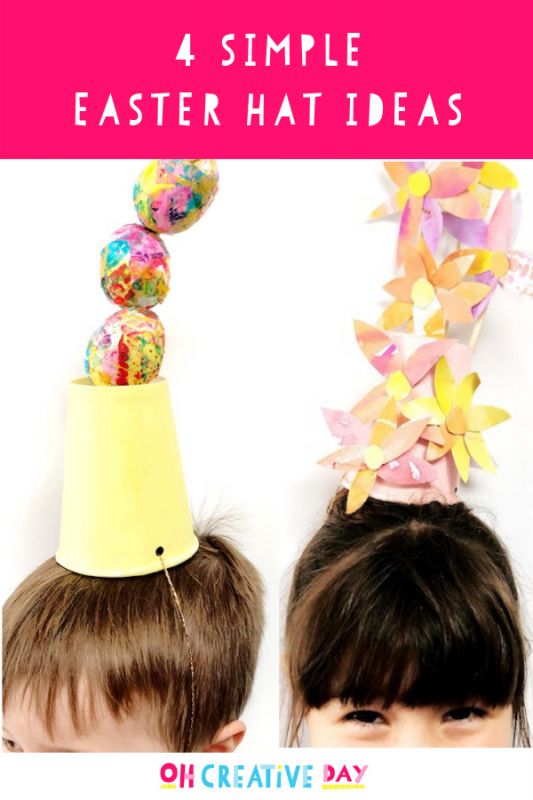 This egg decorating idea is inspired by the technique Eric Carle uses to illustrate his iconic picture books. *2019 is the 50th anniversary of The Very Hungry Caterpillar and also Mr Carle’s 90th birthday. 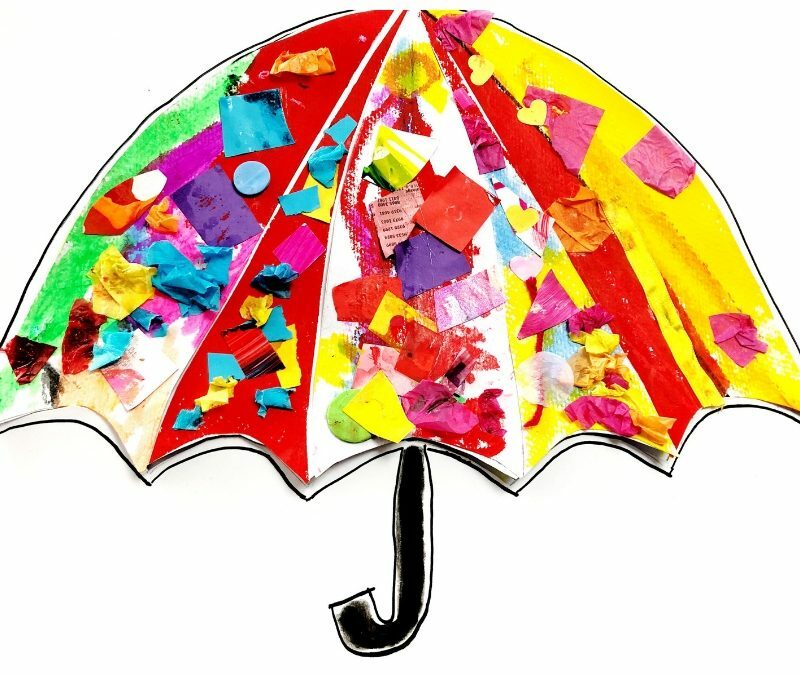 Want to try egg decorating inspired by Eric Carle? 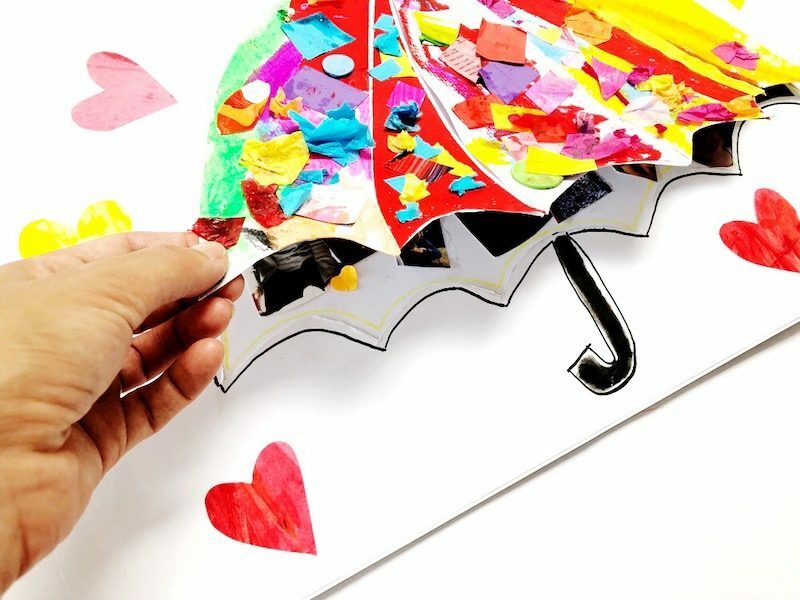 Eric Carle paints tissue paper which he then collages with to create his illustrations. 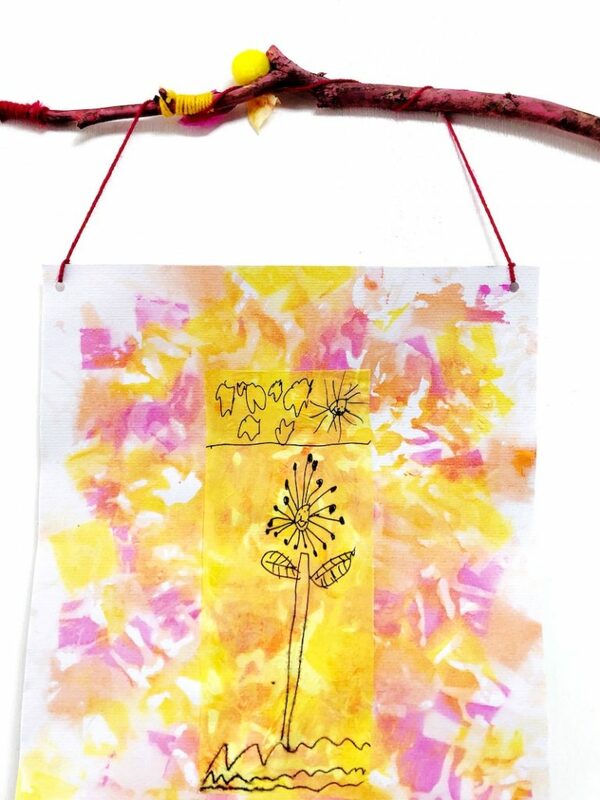 We are no strangers to this process- you can check out our painted tissue paper art here. In that project, we painted big sheets of tissue paper. For this project, we scaled down. 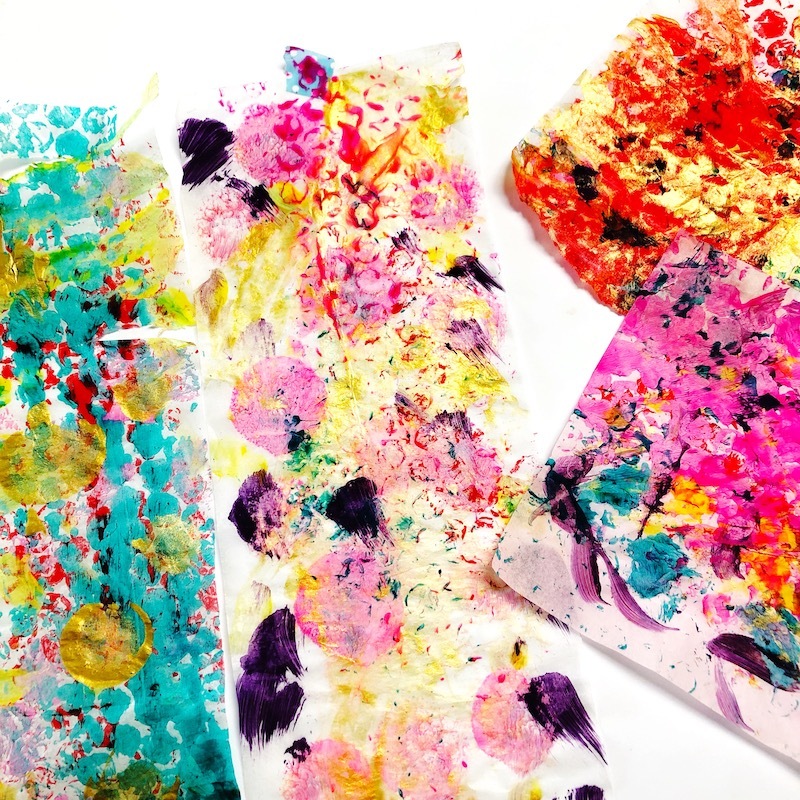 We painted smaller rectangles and squares of tissue paper- a much more manageable process! 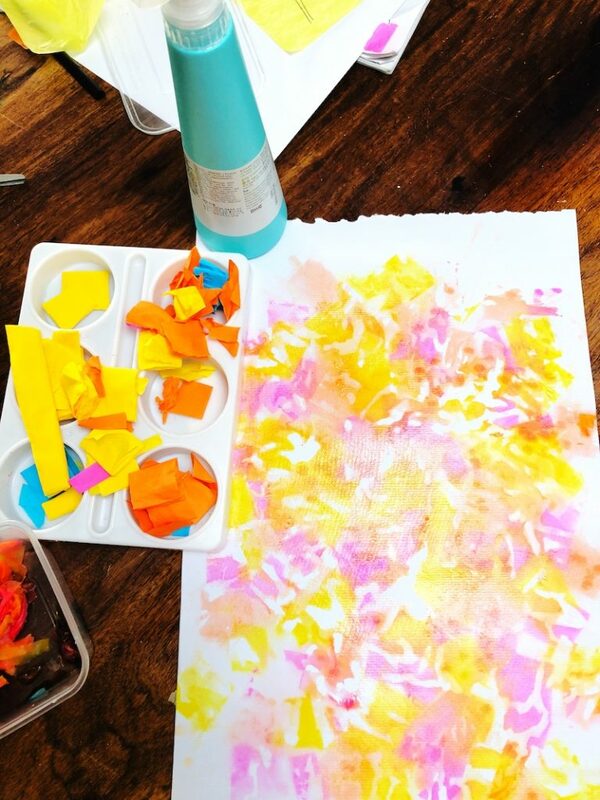 Tape your tissue paper to cardboard scraps for a DIY easel. 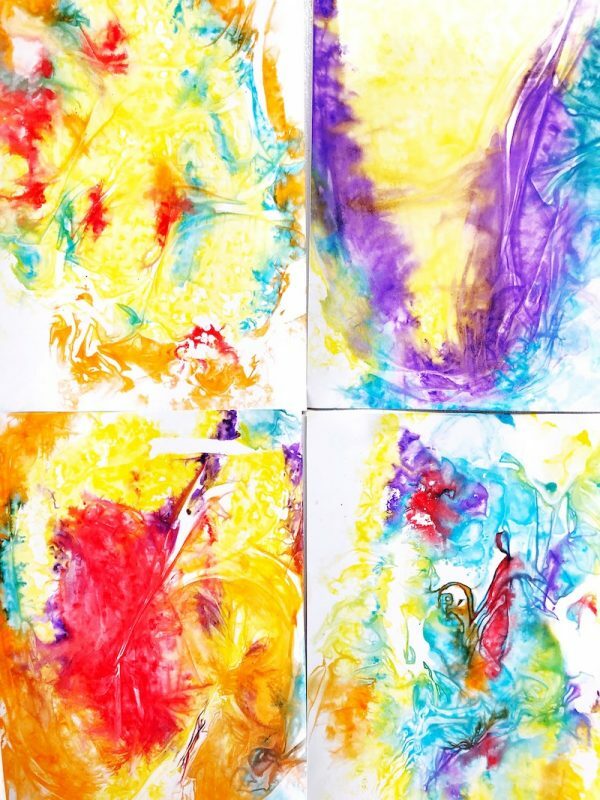 The paint will bleed through the tissue paper. Tissue paper is obviously quite delicate. 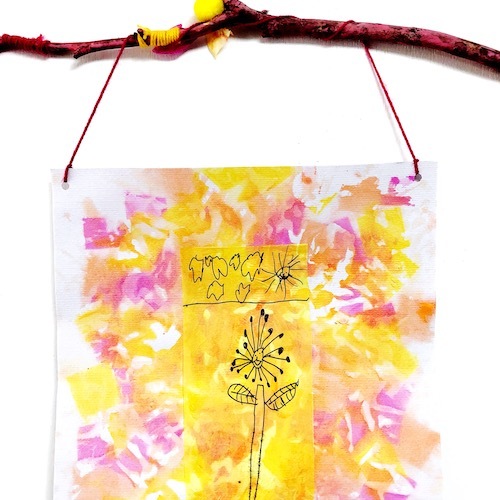 This is a great exercise for mini artists to experiment with mark making and pressure. Too much paint, too much pressure and the paper will tear. Decide on your paint colours and provide your little artists with different painting implements. 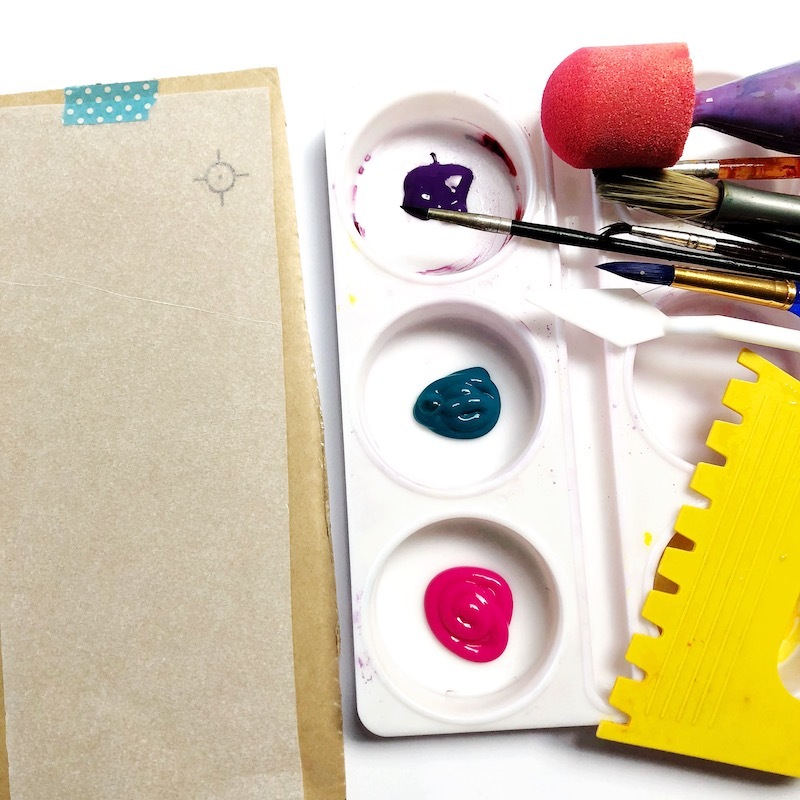 As you apply paint, you need to keep gently lifting your tissue paper up off the cardboard to prevent it sticking. 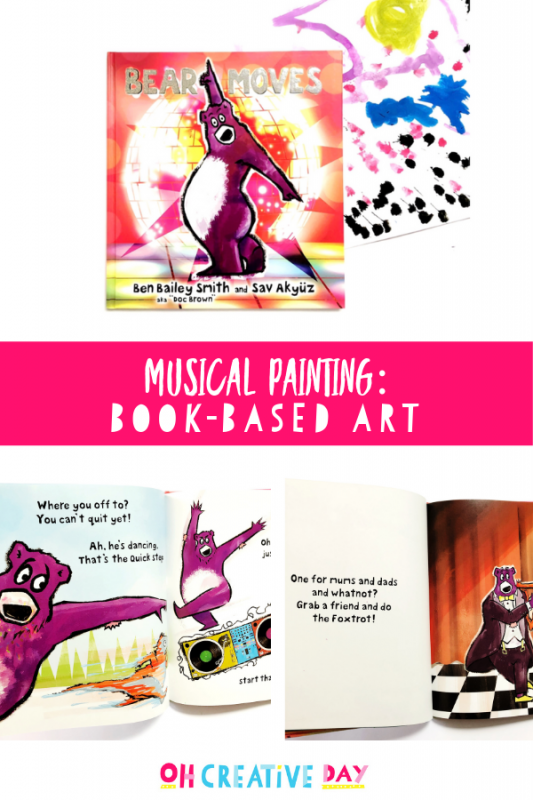 Pull out all your Eric Carle books and pore over his illustrations. If you’re looking for a cool effect, pull out the bubble wrap! 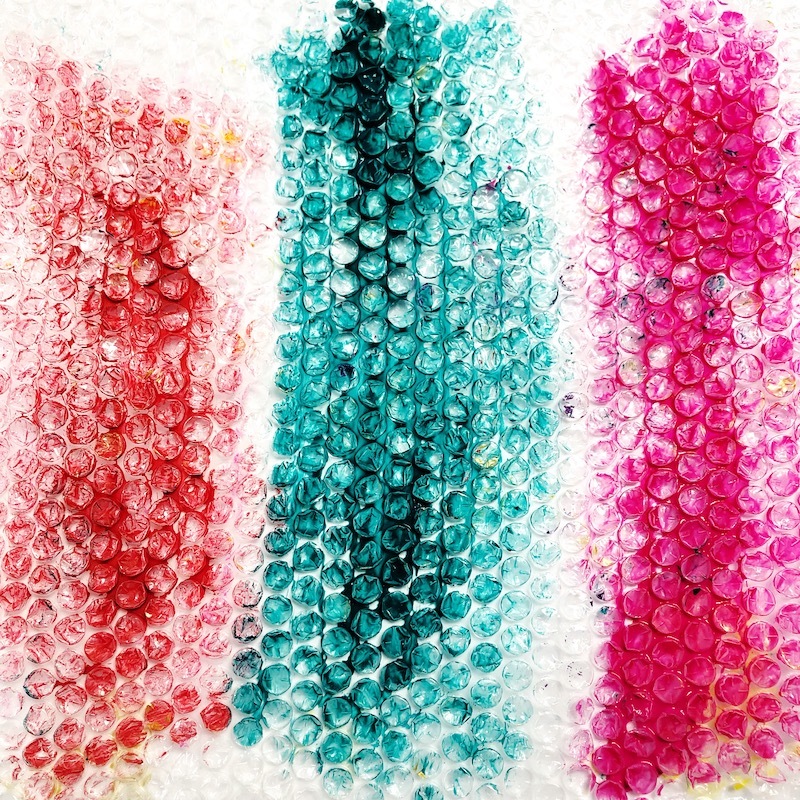 Slather some paint onto the bubble wrap and then place your tissue paper on top. Press lightly, lift and voila! 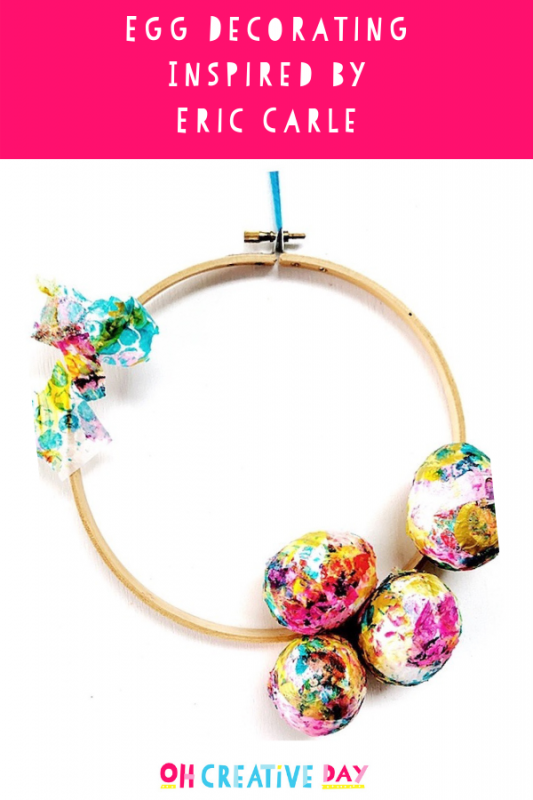 If you have a bit of paint overload happening, simply lay another piece of tissue paper on top of your design. Once your tissue paper is all dried, here comes my favourite part! Tear the paper into little strips, ready for collage. 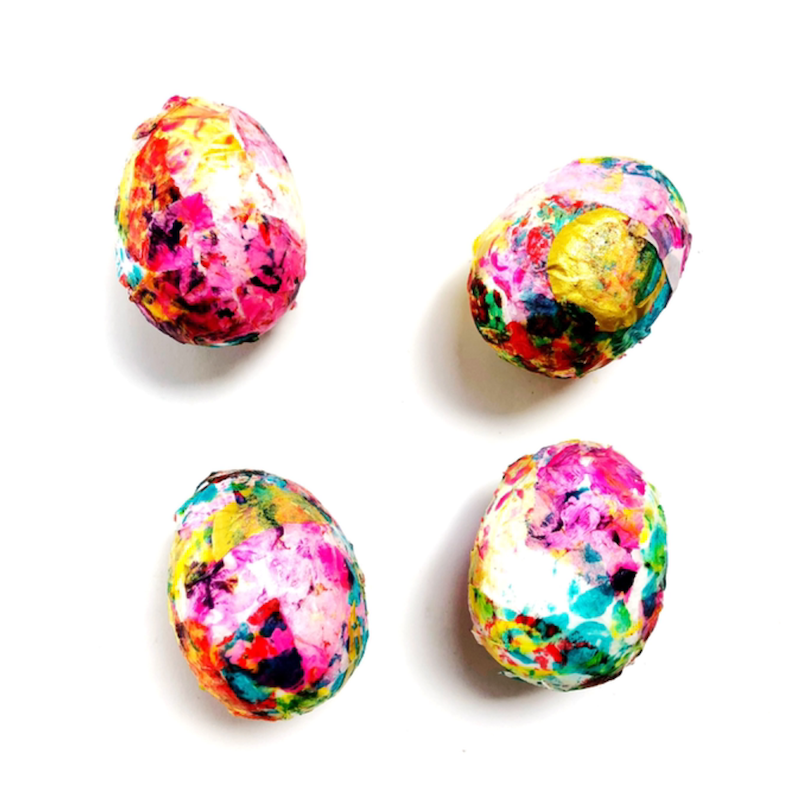 Then you simply cover your foam eggs with your tissue paper pieces. A thin layer of glue will keep corners down- just keep gently pressing down as you glue your tissue paper around the egg. This step can get messy, so keep a wet towel nearby for your fingers. You can use any craft glue. We were recently sent some Bostik products to trial. This is not a sponsored post! I’m wondering how I survived this long without the Bostik Fine and Wide glue stick in my life. It has two applicators for ease of use, a non-drip pen applicator that flows in a fine clean line as well as a spreader, for larger applications. It made the collage process super speedy. 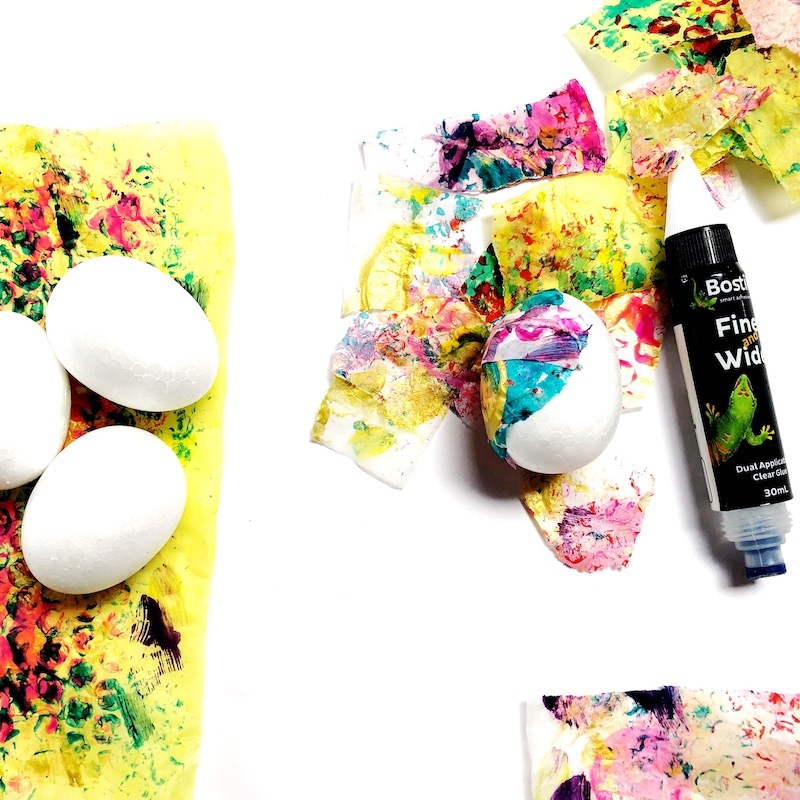 Once your foam eggs have dried, decide what you are going to do with them. We decided to turn them into a door wreath. 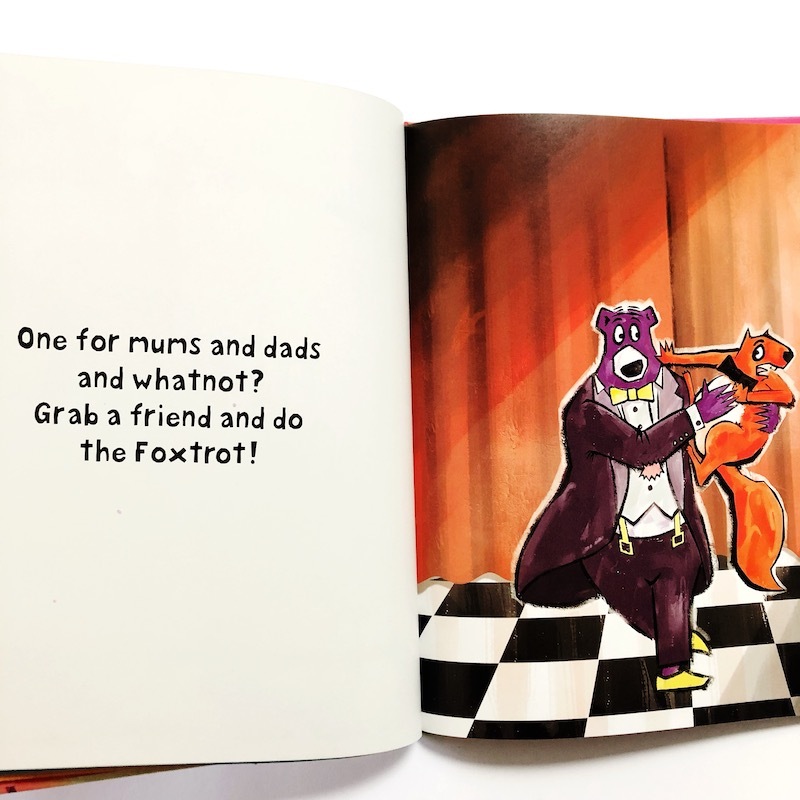 Because our postman deserves some Eric Carle Easter in his life too. I simply used the hot glue gun on the eggs to affix them to an embroidery hoop. Simple! Are we friends on Instagram? 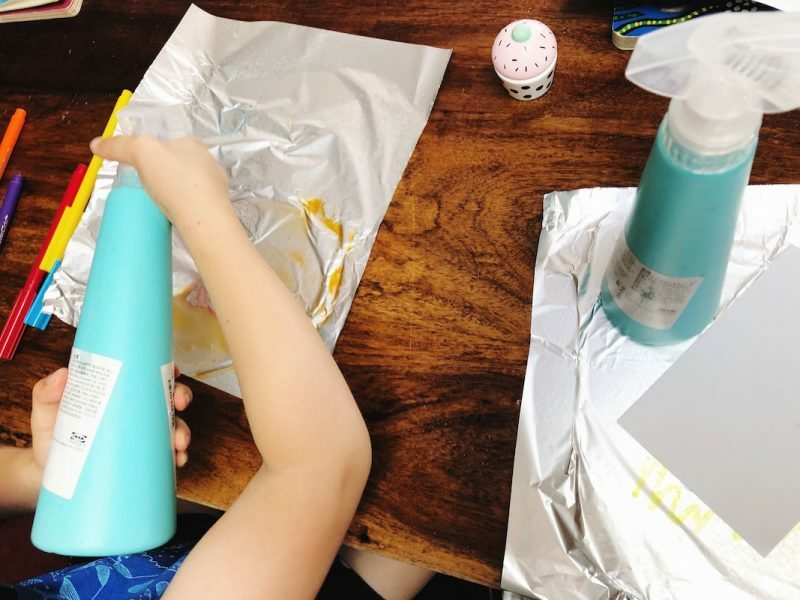 This egg decorating project is a part of Hopfest- an Easter and Spring eggstravaganza happening over on the Insta with a crew of crazily creative ladies. Be sure to check out all the ideas for oodles of inspo! I love seeing when people try my projects! 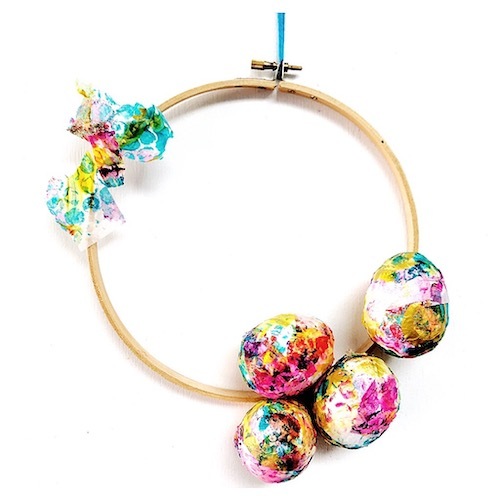 If you try this egg decorating inspired by Eric Carle, tag me on social media!